Blackjack is a simple game that anyone can play, but sometimes you want to class it up a bit. After all, when you think of blackjack you think of high stakes, glamour and riches. The quintessential casino card game deserves a polished touch, which is why bet365’s Blackjack Professional Series is so good. What is the professional series? The professional series is a suite of bet365 casino games with the aim of mirroring a true casino experience. The games are simple, the graphics are slick and the action is pure. Don’t worry, though; you don’t need to put on your tuxedo and gather a gigantic bankroll. You can play Blackjack Professional Series for as little as £1 per hand. Simply select Blackjack Professional Series from the lobby and you will be presented with the game. 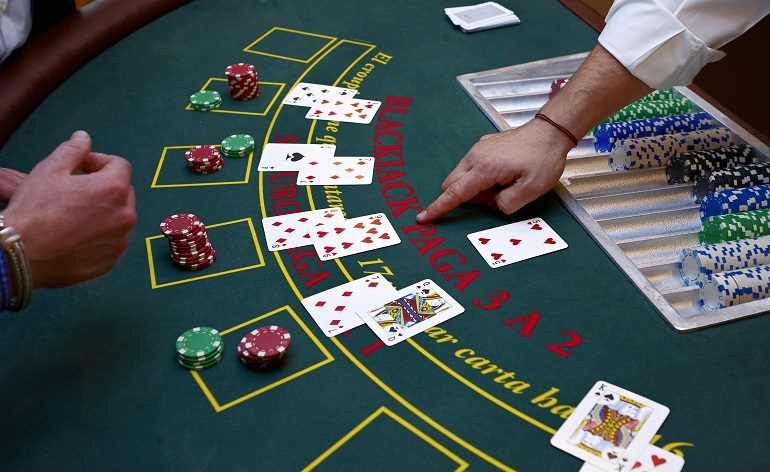 You can play up to three simultaneous blackjack hands, with bets of £1 to £120 per hand available. Additionally, you can place a Double Jack side bet (see below). In the Professional Series, the dealer must stand on a soft 17 and draw to 16. Insurance is available, but surrendering is not an option. The dealer will check for blackjack if dealt a 10, face card or ace as their up-card. For each of the hands you choose to play, you can also place a Double Jack side bet of at least £1, up to a maximum of your regular blackjack bet. If the first card in your regular blackjack hand is a jack of any suit, you win anything from 10x your Double Jack side bet to 100x, depending on the following cards. The Double Jack side bet must be made after your regular bet, but before any cards have been dealt. The side bet is settled before play resumes.